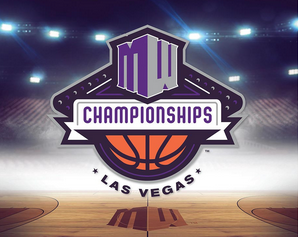 With a last place finish and the worst regular season in school history in the books, the UNLV Runnin’ Rebels begin Mountain West Conference Tournament play on Wednesday afternoon with a first round meeting against old nemesis San Diego State at 4 p.m. at the Thomas & Mack Center. The 11th-seeded Rebels (11-20) have lost 10 in a row to the sixth-seeded Aztecs (17-13), who are 9½-point favorites and won both regular season matchups by 13 points. But Marvin Menzies’ squad knows they call it March Madness for a reason with upsets the norm in conference tourneys around the nation. “We’re the last seed,” senior guard Uche Ofoegbu said. “Nobody expects us to win against San Diego State. Everybody expects our season to be over after this game. To do that, the Runnin’ Rebels, who have frequently struggled to put together two good halves in a game this season, will have to play eight good halves in a span of four days. San Diego State has won 19 of the last 23 meetings with UNLV and six straight conference tournament meetings. So just to get to Thursday night’s 8:30 p.m. quarterfinals against third-seeded Boise State would be an impressive accomplishment for the Rebels. Making things even tougher for UNLV is the fact senior forward Tyrell Green, who is second on the team in scoring (11.7), will likely miss the game with a knee injury. Green did not practice Tuesday after going 1-of-13 from the field, including 0-of-8 from 3-point range, in Saturday’s 72-59 loss at Fresno State.